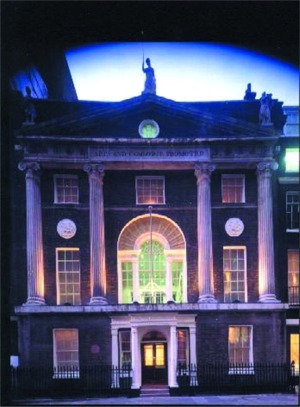 The RSA (Royal Society for the Encouragement of Arts, Manufactures and Commerce) was founded by William Shipley in 1754 "to embolden enterprise, to enlarge science, to refine art, to improve our manufactures and to extend our community". It works to create a civilised society based on a sustainable economy by stimulating debate, developing new ideas and encouraging appropriate action. The Fellowship of the Society comprises 22,500 Fellows (FRSAs) world-wide. Drawn from almost every vocation, the Fellowship of the RSA is composed of people from many nationalities who support and promote the Society's aims. I am a fellow of the RSA and would highly recommend becoming a member. It makes a great meeting place: in centarl London.